With less than four months to go, we’ve added the MosquitoCon 26 page to the website. There you can find the basic preliminary information, and the two-page color flyer. 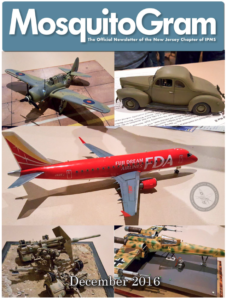 Club members feel free to print copies and leave them at hobby shops and other areas where interested parties may roam. The December 2016 edition of the MosquitoGram has been uploaded the Newsletter page. You can also download it directly HERE. 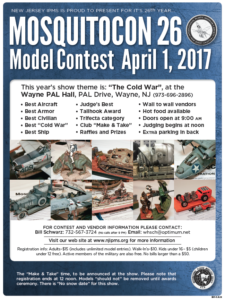 The newsletter has the flyer for MosquitoCon 26 included. Less than four months until the show!